Is your property commingled with the property of a divorcing couple? You may want to protect your property by becoming a party to the case. A recent Ohio Ninth District Court of Appeals decision, Deitz v. Deitz, shows how things can go very wrong when your property is in some way combined with the property of a couple who is getting a divorce. If that is happening to you, the question then becomes, how much do you trust the party you are aligned with to prove that the property is not marital property, but is in fact (at least partially) yours? 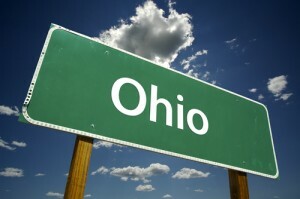 In Ohio, divorce courts presume that all property is marital, unless one of the parties prove that the property is separate property, or the property of neither the Plaintiff nor the Defendant. In the Deitz case, Husband was living with his mother and brother during the divorce. At trial, Wife introduced an exhibit which was a list of cars, trailers, parts and tools that she asked to have classified as marital property and sold at auction. Wife testified that she hoped to have the proceeds of the auction applied to Husband’s child support arrearages. At trial, the Wife, the Husband, and Husband’s mother all testified regarding specific items of property that Wife asked to be classified as marital property. The Magistrate’s decision ordered that most of the property listed on the exhibit were presumed to be marital property because husband had failed to properly trace the items as his separate property. The Magistrate’s decision ordered the items to be sold at auction. The Judge adopted the Magistrate’s decision the same day. The Husband objected to the Magistrate’s decision stating that “some of the property listed appears to be the property of third parties.” Shortly afterwards, the husband’s brother and mother filed motions for joinder under Ohio’s Civil Rule 75(B)(1). The court denied the motions for joinder saying they were “too little, too late”. 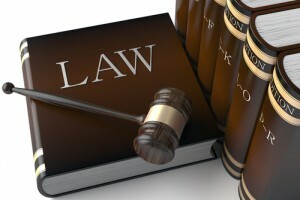 Civil Rule 75(B) allows persons claiming an interest in property out of which a party seeks a division of marital property, a distributive award, or an award of spousal support to be made a party defendant to the case, at the discretion of the trial court. 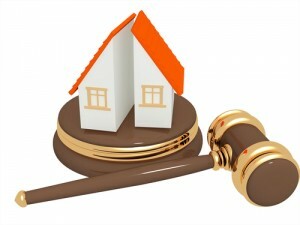 The trial court has to believe that the person’s interest in property needs to be protected within the divorce action. Likewise, Civil Rule 75(B) allows the Plaintiff or Defendant (a party) to a divorce case to join a person as a party to a case, even against their will, if it is necessary for the court to protect property from which the Plaintiff or Defendant are seeking a division of marital property, a distributive award, or an award of spousal support. This can be very important when one of the parties is trying to hide assets outside of the court’s reach. The court of appeals stated that the term “interest” as used in Civil Rule 75(B)(1) means lien or ownership, legal or equitable. The court said that the parties seeking to join in the divorce bore the burden of sufficiently detailing their respective property interests and the basis for their claim of ownership. Because they had not done so, the Court of Appeals concluded that the trial court did not abuse its discretion by denying their motions to be joined as a party. What is to be learned here is that if you have property that is joined, shared or collective in any way with the property of a couple who is being divorced, it is up to you to make sure your property is protected, early on, and with specificity. Business partners often assume that their interests are protected, however, in reality, they are relying on their friend, partner or family member to do adequate tracing at a time when they are financially and emotionally stressed. It may be advantageous to be asked to be joined to the case yourself if you have proof to present that the property is not marital property. Need some help? We would be happy to schedule a consultation with you. Please give us a call, and one of our Columbus Ohio Dissolution Lawyers will meet with you to discuss your case. Virginia Cornwell is an Ohio State Bar Association Certified Family Relations Specialist.